I was a bit late jumping on the bandwagon with the Aldi candles. The media furore somehow passed me by! It was only when my son's girlfriend mentioned how much her mum loved them that I hopped in the car in a mad dash to get myself one (or two). Apparently they've sold out time and time again, flying off the shelves the minute they come in. I was a bit panicky that I wouldn't get one! They only had the No2 candle which is the blackberry bay scent, which was no problem for me, it's actually the one I wanted to get. So, the Aldi candles are supposedly a dupe for the Jo Malone candles with similar scents to the luxury brand. Stylish that's for sure, it looks like a luxury candle and sits nicely on my coffee table. It's quite a good size with a double wick and an average burn time of 48 hours. Well, this is this issue. When you take the lid off you can smell the lovely blackberry bay fragrance, subtle, but you can smell it, so I had high hopes. I have the blackberry and bay Jo Malone cologne and this candle does smell very similar to my perfume. I like a candle fragrance to envelop the room, and then waft everywhere else if possible, but with this one you have get close enough to singe your eyebrows (or your moustache.....must epilate) to get a hint of scent. And the funny thing is I've got a really sensitive nose, I smell everything let me tell you! Very disappointing. When it's lit there's not really any fragrance, even when I close my lounge door, walk out and back in again. Nothing. Maybe I've got a dud, not a dupe. I have heard that the pomegranate noir is the better of the candles and is quite fragrant but I can't comment as I don't have one. It's constantly sold out so maybe that says something? The candles are priced at £3.99 each and for that I think you just get a decent size candle with a subtle fragrance. As you can see I have a little bit of tunnelling with mine, not as much as I thought it would have, it burns relatively well with no sooting or blackening of the glass. It's funny because you know that a dupe, any dupe, is never going to be anywhere near as good a quality as the costly original yet we still have high hopes for them don't we?! The media just whip us up into a frenzy and we just have to have them. I mean, fashion dupes, like my dupe Chanel bag, may look good but the quality obviously isn't there, I love it though!!! Just like this £3.99 candle cannot compare to my Jo Malone tomato leaf candle at around £40. Sounds a bit odd but the most divine fragrance BTW! 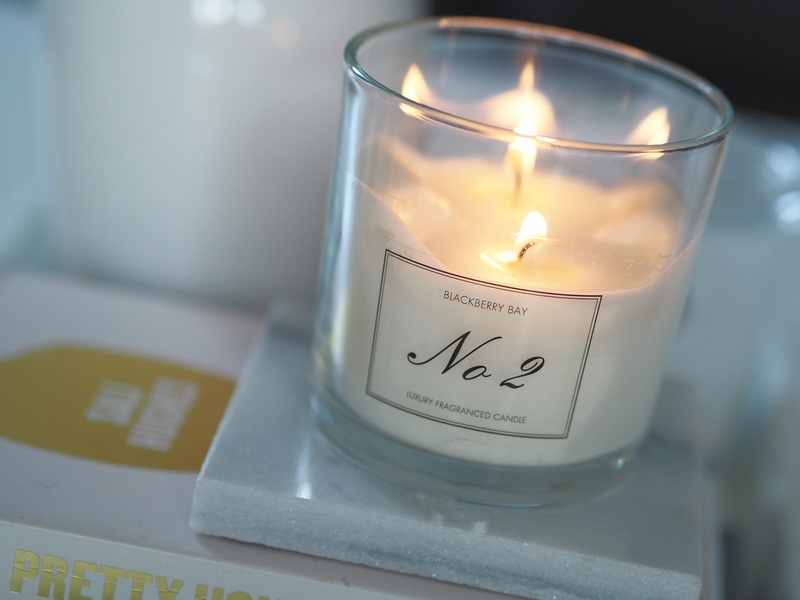 I also recently picked up some pieces from Primark, their Private collection, also resembling well known scents from Jo Malone and whilst I love the fragrance and the fact that they fill the room, sadly they just don't last that long. 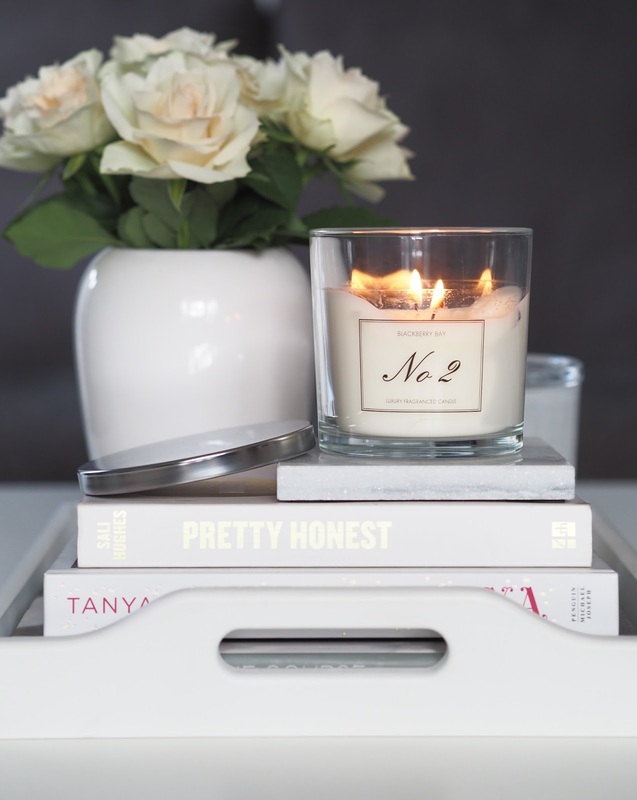 For me, there's no comparison with these candles, they're more of a copycat version but if you're looking for a cheap candle that looks good and gives off a subtle scent then go for it. Personally, I won't buy any more, it's true what they say and you get what you pay for, I'd rather save my £3.99's until I've enough for another proper Jo Malone, Neom or any other quality candle. Have you tried any of the Aldi candles? Thoughts? So glad you wrote this Steph. I don't rate them either and couldn't smell either of the ones I bought. I think dupes get whipped up by people that haven't actually tried them! I’ve bought one from all the hype but am yet to burn it. 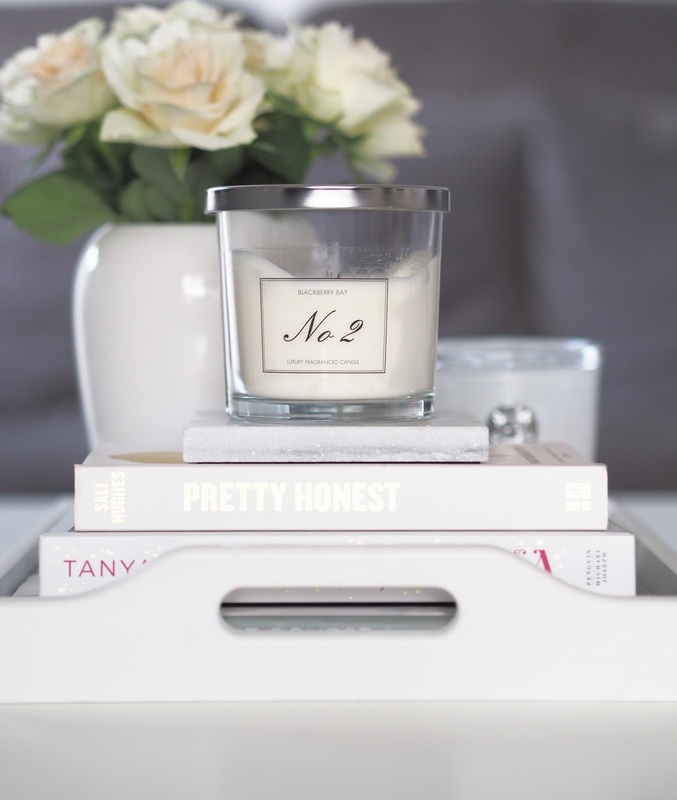 If you want to try another dupe which I think is pretty good have a look at Limelight Candles from Bath..